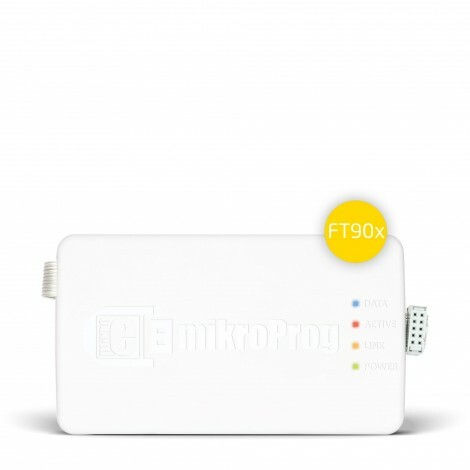 mikroProg for FT90x is a fast programmer and hardware debugger. 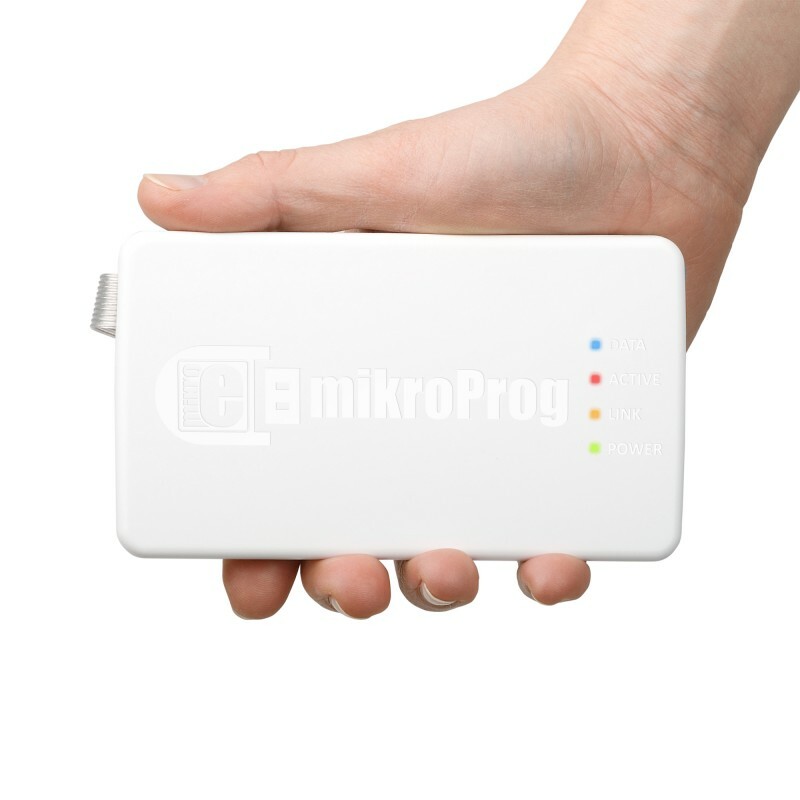 Smart engineering allows mikroProg to support all FTDI Chip’s 32-bit FT90x MCUs in a single programmer! 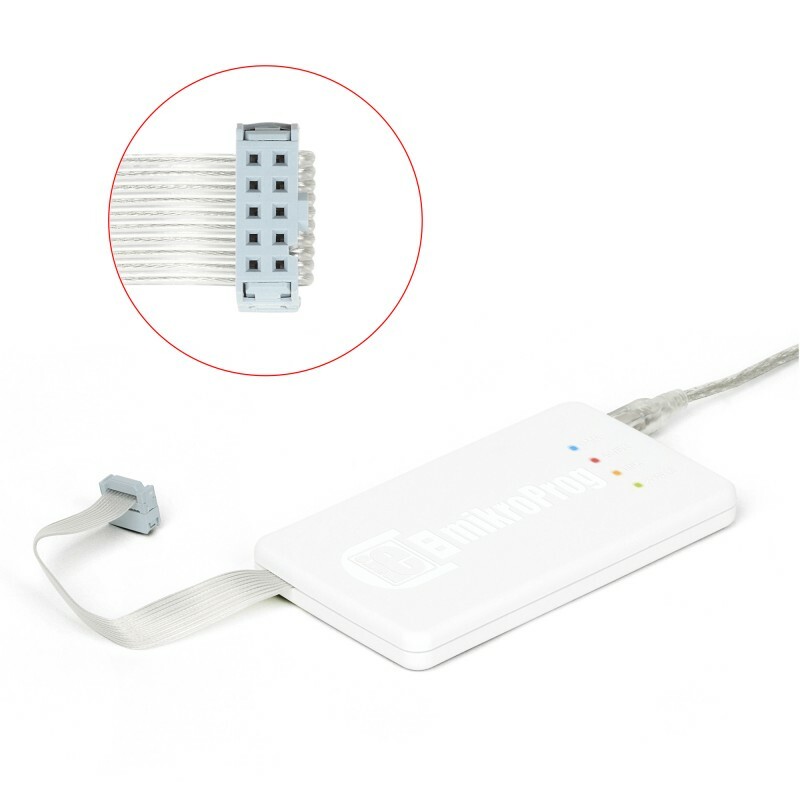 Outstanding performance, easy operation, elegant design and low price are it’s top features. It is supported in mikroElektronika FT90x compilers. A standalone programming software utility called mikroProg Suite™ for FT90x® is available as an alternative to programming the MCU directly from the FT90x compiler. This software is used for programming of all supported FT90x microcontrollers. The software has an intuitive interface and SingleClick™ programming technology. Key Features All FT90x microcontrollers are supported right from the start.